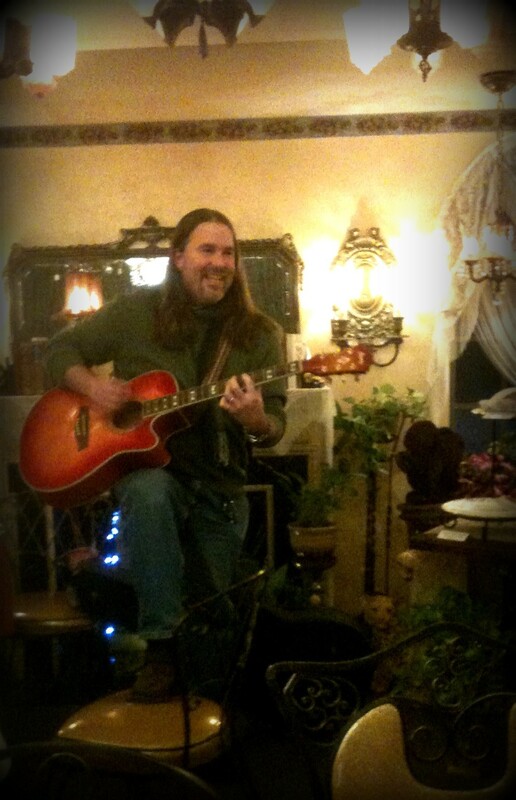 Amid the vintage glamour of the Ritz Crystal Room at Remember When, Jay Roberts stood up with his guitar in hand and gave an impromptu performance to a cheering crowd and I had a front row seat. It was late November 2013 and business community in Torrington met to discuss ways to improve and promote the community. He was in attendance not as Jay Roberts the singer but Jay Roberts the co-owner of Performance Hub, the business he operates with Kris Roberts, his wife who is also the “Roberts” in the Roberts Tax Group. Under discussion was the creation of a video based on his song “It’s Happening Here”, an anthem about Torrington. There was unanimity among the participants to move forward with the video idea. Most if not all in attendance had already heard a live version of the song online through a youtube video. It was only when the meeting ended that Jay brought out the guitar not to seal the deal, but to signify a celebratory moment. And a celebration it was. 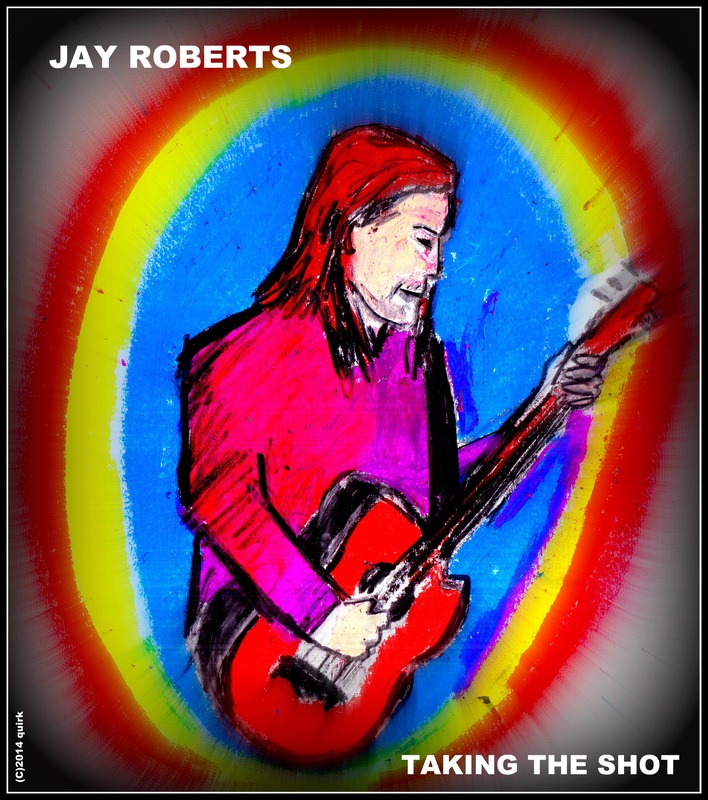 In December I had another chance to hear Jay Roberts perform his music live. 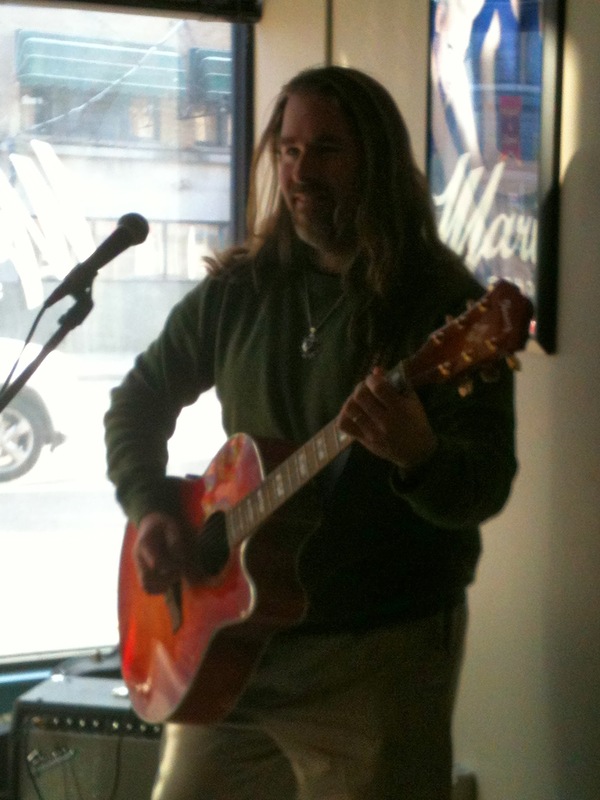 He was the musical entertainment at Marinello’s School of Beauty and my kids and I visited the event. He altered his repertoire slightly to engage his new audience and won them over. Jay Roberts is a man on a mission to transform the music experience in Connecticut and beyond and his base of operations is right here in Torrington. That’s Jay Roberts the musician. There’s another side of the Jay Roberts phenomenon in Torrington, that of Performance Hub co-owner and operator, and I’ll explore that side next month. But let me share with you that this January I visited with Jay at Performance Hub located in the second floor of 79 Main Street, Torrington which boasts a scenic view of the Yankee Pedlar and Main Street from the windows of the performance/music lab area. Jay has big plans in 2014 for himself musically and for all musicians in the area who want a leg up in the industry. Jay was on his computer busy matching a performer with a music venue when I walked in. “Like a music agent,” I said. Jay shared that the Performance Hub is meant to assist an artist and a music venue connect and that ultimately the Hub will assist those connections with ease and speed. Instead of a venue coordinator trolling facebook or other social media sites for ideas about performers, they can use the Performance Hub to see the talent in the area, hear/view samples of the musician’s work and see if that performer is the right fit for them. There are advantages for the performer and advantages for the event coordinator of the music venue. Downtown Cafe: A Cash Mob is Happening Here…. It is an opportunity to discuss our shared community and learn from those like yourself who are making it happen here in Torrington! The Performance Hub thing sounds like a great idea! link to site doesn’t work though. It’s my understanding the server is being upgraded (a temporary thing). Yes, the site is being upgraded in order to be able to handle more traffic. Our web guru, Evan Dobos at PictureThisWebCenter is working on all the bugs. The site is in “beta” mode, so expect a few bugs while Evan’s team does their magic! Even though Torrington is so far from Stamford, it’s great to see talent from all across the state. I think the Performance Hub is a great idea and opportunity! Torrington is a happenin’ town! Great info Joe! Thanks Bonnie of @homeplaceblog !